The BYU Homecoming Parade is a festive and time-honored tradition for alumni, friends and students. 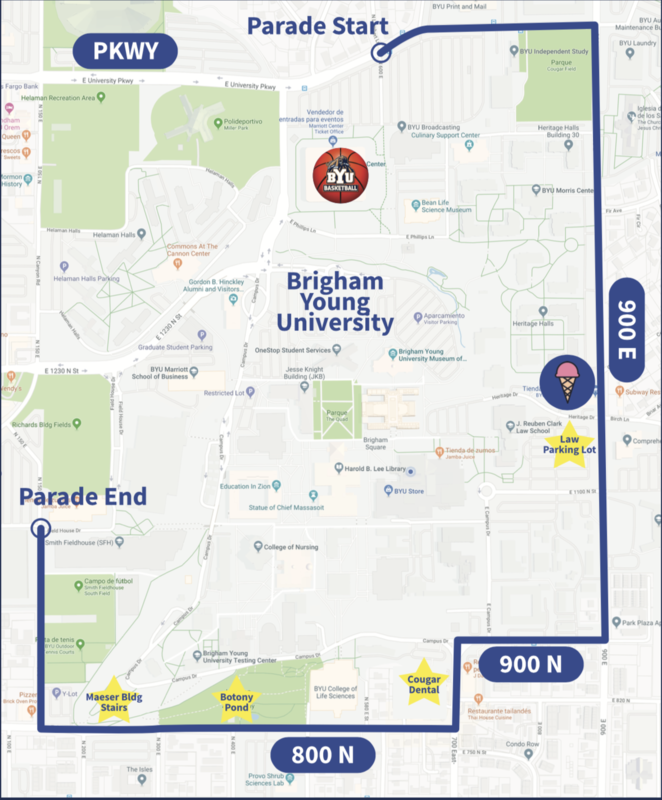 Launching from the Marriott Center east parking lot at 10 AM, the parade follows 900 East, captures the south of campus along 800 North passing by Brick Oven, and ends at the Smith Fieldhouse on 150 East. Come early (9 AM) for Blue Donuts and Hot Chocolate at the Maeser stairs, Creamery on 9th, Sinclair Station (SE corner of campus), Botany Pond, and the BYU Track.